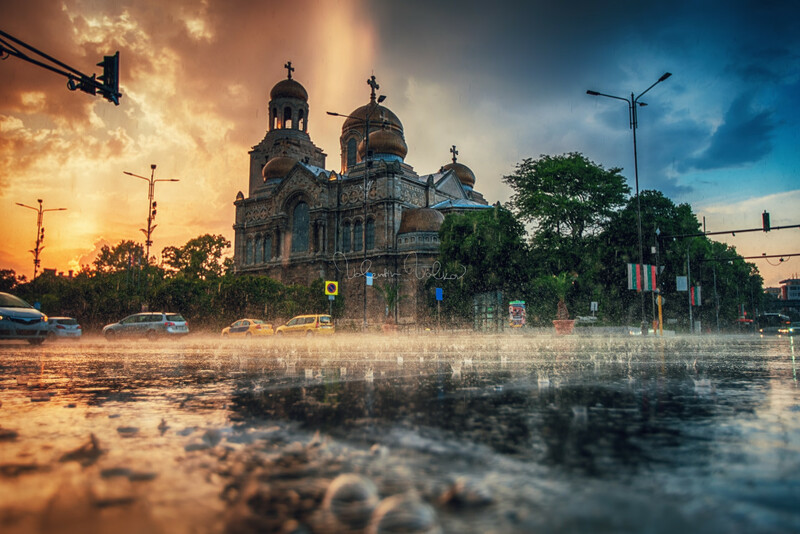 Purchase digital downloads and a range of printed products of Valentin Valkov’s image - The Cathedral of the Assumption in Varna and the street traffic. The Cathedral of the Assumption in Varna and the street traffic. The Cathedral of the Assumption in the city centre of Varna and street traffic. Summer rain.